Filling the same mission requirement as the standard MS3 Sling, the MS3 Single QD can quickly switch between one-point and two-point configuration. The MS3 Single QD maintains material construction and specifications identical to that of the standard MS3, but features a heavy-duty push-button QD Sling Swivel for the one-point (rear) weapon attachment rather than the Magpul Paraclip™. This modification allows compatibility with QD sling cups commonly found on lower receivers, receiver end plates, and buttstocks. The MS3 Single QD GEN2 incorporates a new low profile quick-adjust Slider which minimizes bulk and allows for secure, yet effortless, sling adjustment. Webbing length has also been increased for a comfortable fit with all body types and armor configurations. REAR – Works with receivers, end plates, and buttstocks that have a QD socket for one-point attachment. 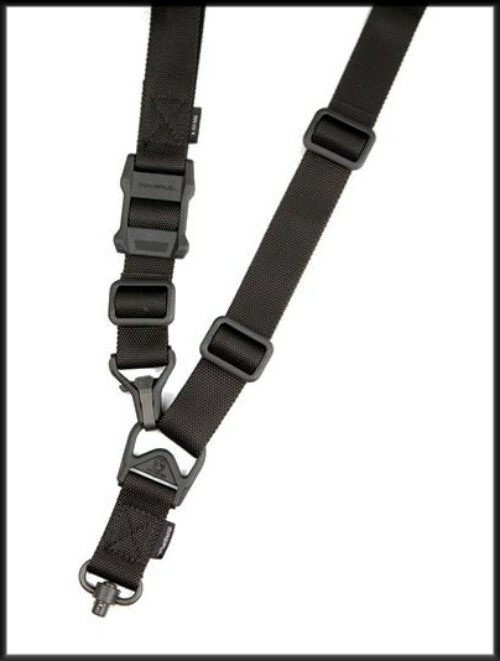 FRONT – Compatible with the Magpul RSA®, MSA™, and Forward Sling Mount, as well as many snap-hook style sling loops* and standard or QD sling swivels for use in two-point mode. 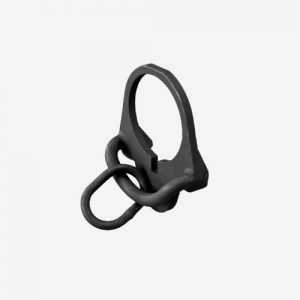 * Snap-hook style sling loops with an inner diameter of at least 3/8″ are required, but 9/16″ and larger will provide full range of motion of the Paraclip.